Begin now, it’s never too late. 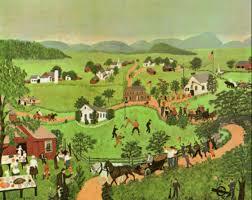 Think of Grandma Moses who had a successful art career late in life, starting in her seventies. She died at 101 years of age, and painted 1,500 paintings or so. I think it’s all about a positive attitude. She decided to try something new. Maybe she had always wanted to make art, but never had a chance until she “retired.” However, she made up for it in her productivity. She was open to see where the path would lead her, and I admire that pioneering spirit. She was called a naive painter but if you look at the intricacies, there was nothing simple about her art other than the very direct expression of what she saw or had seen. She did not worry too much about style or perspective. That is the pioneering spirit. She just began where she was and continued from there, never stopping. To accomplish any dream, be it painting every day, or some other dream, start where you are NOW. There are no shortcuts or magic bullets, only exploration via doing. Think of all the various styles art has gone through. 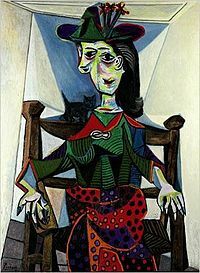 Don’t you think the world thought Picasso was crazy when he started his “deconstructed people” Cubist style? He was a trail blazer. I don’t know if he ever doubted himself, but if he did, he didn’t let it stop him. So, mindset is so important. If we don’t dare to make changes, or take some risks, we remain in place, stagnant. In the long run, nothing is more boring than the status quo. What is your dream? What can you do today to start something new? Not just New Year’s resolutions, but something that resonates in your heart. You know, THAT thing. Take one small step, and then another, and another. Before you know it, you’re deep into the bliss of doing what you always wanted to do. Don’t know what you want? Start with your most vivid idea. Once you start somewhere, clarity will stroll in. Change directions, nothing and no one is holding you back, except yourself. Convention holds us back, but that is the trap of other people’s opinions that shaped your own. You are free to explore! 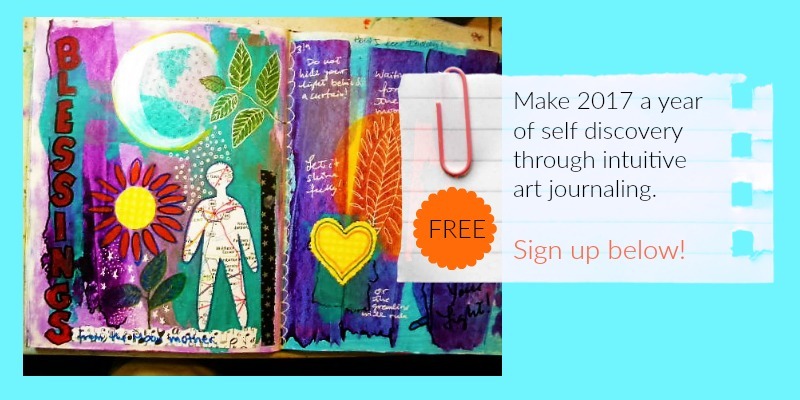 If you didn’t join my FREE year long art journaling exploration you can join HERE NOW. There is a great artist / teacher line up and a very active FB group. Previous PostRomance novels are not trash-yNext PostDestruction of innocence.